Walmart yesterday kicked off its fifth annual nationwide “Fight Hunger. Spark Change.” campaign online and in stores by asking its 150 million weekly shoppers to support the Feeding America network of 200 local food banks and the one in eight people who battle hunger in America at some point during the year. 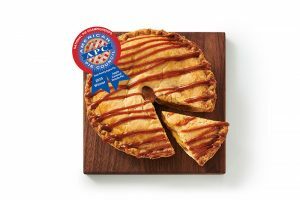 Walmart and Feeding America are doubling their meal goal this year to 200 million meals, increasing supplier participation to 14, and introducing the Walmart Credit Card as a new way for customers to get involved in the campaign. 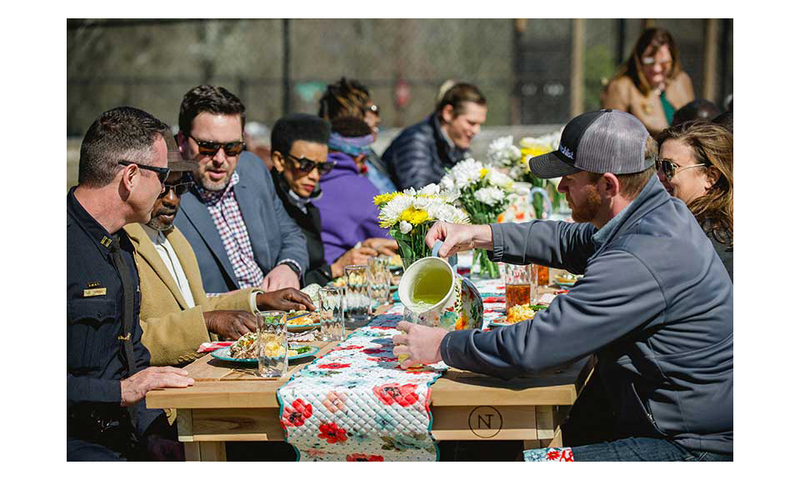 In another first, Walmart is uniting with social networking site Nextdoor to bring community leaders and neighbors together around a donated communal table to discuss the local impact of hunger in select cities. The ‘’Fight Hunger. Spark Change.’’ campaign launches at a time when one in eight Americans (41 million), including one in six children (nearly 13 million), struggle with hunger at some point during the year, according to the USDA. Hunger also affects certain populations more profoundly including children, seniors, and Latino communities, where one in four children are in food insecure households. Walmart will start the campaign with a $1.5 million donation and aims to donate a total of $3 million to Feeding America based on the public’s social media engagement with the campaign. Purchase Product: For every participating product purchased at U.S. and Puerto Rico Walmart stores or on Walmart.com from April 2 – April 30, the supplier will donate the monetary equivalent of one meal ($0.10) on behalf of a Feeding America member food bank, up to applicable limits. 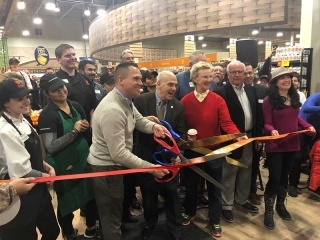 Participating suppliers include General Mills, The Coca-Cola Co., Kellogg, Kraft Heinz, PepsiCo/Frito-Lay/Quaker, Bush Brothers, Clorox Sales Co., Conagra, Motts, Unilever, Maruchan, Pinnacle Foods, Post and JM Smucker. Donate to a local Feeding America food bank at participating Walmart stores in the U.S. and Puerto Rico. Donations can be made at the register to local Feeding America food banks in increments of $1, $2, $5 or an amount chosen by the customer. Donating also is an option at the self-checkout register. When customers click “Finish & Pay” on totals of more than $10, it will trigger the prompt with details on donating. Make an online act of support: For every traceable post of campaign content with #FightHunger on Instagram and for every traceable share or retweet on Facebook and Twitter of campaign content, Walmart will donate $10.00 to Feeding America, and for every click on the support button on the program website, Walmart will donate $1.00 to Feeding America, up to $1.5 million. “Hunger impacts every single county in the United States. Every day, the Feeding America network of 200-member food banks are on the ground helping children and families who need it most, but we know that we can’t end hunger alone. Feeding America is grateful to Walmart for its long-standing commitment to fighting hunger in communities across the country. Through the ‘Fight Hunger. Spark Change.’ campaign, Walmart has created an opportunity for suppliers and customers to join the fight to end hunger. We hope everyone is inspired to take action and support their neighbors in need,” said Matt Knott, President of Feeding America. During this year’s campaign, Walmart and Feeding America are collaborating with Nextdoor, a private social media network active in 170,000 neighborhoods nationwide. Nextdoor is inviting community leaders, city officials, local chefs, the local food bank, journalists and area neighbors to come together around handcrafted tables made by Neighbor’s Table, which will remain as a gift in the community from Neighbor’s Table, to discuss how to best combat hunger locally. Following the community gatherings, members of each community are invited to learn more about ways they can take action to help their local food bank and will be encouraged to meet and connect.